WHAT IS PRIVATE EQUITY & VENTURE CAPITAL FUND? Each summer, at the end of August, Baltic Private Equity & Venture Capital professionals gather at one the beautiful Baltic resorts to discuss industry developments, network & enjoy various activities together. Over the years Baltic VCA Summit has developed into one of the largest and most anticipated industry events in the region. Baltic VC Summit will be held on 21-22 August in Pärnu - a resort town known for its 19th-century timber villas and for sandy Pärnu Beach, with its shallow waters and promenades. The main event will be held on 21 August at the iconic Pärnu Beach Hotel at purposely built glass venue. On 22 August Baltic VC Summit will continue with a series of activities and will reach its finale at the newly opened Pärnu Rowing Club with a thrilling race where VCs go up against Buyout. WHERE TO START A STARTUP? Official part of the event will be broadcast live by DELFI TV in all three Baltic states. Pramod is founder of Genpact (NYSE:G), a €2,3 bn turnover business process outsourcing company with more than 75 000 employees in 28 countries. Pramod Bhasin has served as the Chairman of NASSCOM (India's National Association of Software & Services Companies) and currently serves as a President and TiE Delhi (The Indus Entrepreneurs) and The Skills Academy. He also serves on the boards of Bank of India and NDTV among others and as a Strategic Advisor to Private Equity firms, Kedaara Capital in India and CVC Capital Partners in Asia. Pramod has been named IT Man of the Year and honoured Lifetime Contribution Award for pioneering BPO industry and building up India as a global services hub. Pramod will be moderating the event and in between the sessions he will take us on a journey to India. Reshma is Partner & Co-Founder of Seedcamp. Early on in her career during the height of the dot com boom, Reshma worked in M&A and venture capital across B2B Software and Internet services businesses in the US and India. Following on from this, Reshma went to INSEAD and earned her MBA, fell in love with Europe and stayed on to work in Commercial and Marketing Strategy at Vodafone. Before starting Seedcamp she also worked at the ventures team of 3i. Bruno is the Head of fi-compass at the European Investment Bank. Managed in partnership with the European Commission, the fi-compass initiative (www.fi-compass.eu) is a unique platform for advisory services on Financial Instruments under the European Structural and Investment Funds, designed to support managing authorities, by providing practical know-how and training on the implementation of Financial Instruments. Prior to fi-compass he was acting as a Head of Region at European Investment Fund implementing JEREMIE operations in Italy, France, Malta, Spain and Portugal. Before joining EIF he spent six years as an advisor to the European Commission. Ragnar is co-founder of Pipedrive, best Europe b2b startup by Techcrunch, and co-founder of non-profit foundation Garage48. Curretly he is focusing building next b2b startup - HR management startup Clanbeat, where is co-founder & CEO. Michael is currently Deputy Executive Director and Public Affairs Director at Invest Europe (formerly EVCA - European Venture Capital Association). He represents Europe’s private equity, venture capital and infrastructure sectors, as well as their investors, across the EU institutions. Based in Brussels, Michael covers both regulatory issues and wider EU political developments for the industry. He joined the EVCA in 2013 from Citigroup, where he was Managing Director for European Government Affairs, with responsibility for a wide range of financial regulatory issues and for advising Citi senior management and clients on developments in the Euro area. Michael holds a First Class degree in Modern History from Wadham College, Oxford, and also holds a postgraduate diploma in management. Dovydas has 13 years of experience in different business industries: furniture, telecommunications, logistics, real estate development, financial services and consulting industries, serving from Sales Executive to Sales and Marketing Director for Baltics. Last position for the past 5 year was Entrepreneurship Department Director within Enterprise Lithuania where he has formed and executed Entrepreneurship policy. Dovydas and his team is known of helping to start more than 5’000 companies and has started such initiatives as National Business Consultant Network, National Business Mentor Network and Startup Lithuania umbrella - initiative for tech-startup companies. Dovydas has chaired the alumni board of International Business School at Vilnius University as well as Rount Table club. Jekaterina is a Chairwoman of the Board of Latvian Startup association "Startin.LV" that currently unites more than 50 players of the local startup ecosystem. She is also Head of Corporate Finance at Orients Audits & Finance. Her experience includes designing and executing governmental programmes aimed to support Latvian start-up ecosystem and she also has investment and risk analyst experience. Jekaterina Novicka holds MBA diploma from SBS Swiss Business School and Master degree in International Finance and Banking from BA School of Business and Finance. Mandate Manager, Baltic Innovation Fund & EstFund. 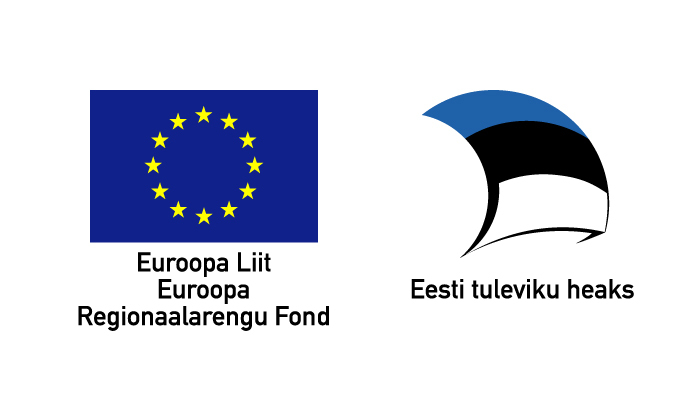 Working with EIF since 2008 on risk capital mandates in Estonia, Latvia, Lithuania, Romania, Greece, that in total invested in risk capital funds more than EUR 250m. Prior to that responsible for launching risk capital fund of funds activity at Latvian Guarantee Agency (now Altum). Participated in U.S. International Visitor Leadership Program. MBA from Riga Technical University. Troy is currently a senior investment professional based in the London office of the European Bank for Reconstruction & Development and has responsibility for the origination and execution of private equity and venture capital funds investments, with specific responsibility for venture capital funds and the Bank’s private equity fund investment activities in Central & South Eastern Europe. More recently, Troy has been responsible for building the Bank's venture capital investment platform including through the establishment of the Bank's EUR 100 million direct VC business and the development of the Bank's Early-Stage Innovation Facility, a EUR 100 million early-stage VC fund of funds programme. Starting 2016 Deputy Secretary-General for Economic Development at the Ministry of Economic Affairs and Communications and Deputy Chairman of the Supervisory Board at Enterprise Estonia. Prior to that Viljar spent 3 years at the Estonian Embassy in New-Delhi serving as the Ambassador to India, Sri Lanka and Myanmar. He has been in the Foreign Service since 1999 and he has also served as the economic counsellor at the Estonian Embassy in London and Estonian Embassy in Washington, among others. For the overnight stay we suggest to book one of the following hotels in Pärnu. Due to high season, please book hotel at your earliest convenience. No rooms guaranteed starting July.